Eating healthy... but not losing weight. Help! "I am running and eating pretty healthy, but I am not losing weight. What am I doing wrong?" I got this question over the weekend, so I wanna dive in! --->This is not me hating on calories or saying that you need to count calories to lose weight. Nope. Not saying that one bit. A lot of times we think because something is healthy, we can eat as much of it as we want. Paul used to think this too when I was doing Whole30 and he was pretending to do it too. "Whole30 means I can eat however much I want as long as it isn't bread." He legit used to say that! NO!! That is NOT what Whole30 is about. Even on Whole30, it works because it teaches you how to portion things using your hands or a plate... but overeating is NOT inherent to the program. Overeating continuously will put us at a calorie surplus. We will gain weight- whether that be fat or muscle. All of the foods in the photos are foods I've eaten and have snapped photos to teach on social media. There's nothing wrong with any of them. But it's really easy to overdo it and eat alllllll the food if you're not being mindful. A lot of times we mis-remember what we actually ate over the course of a day. Gummy bears at the secretary's desk. Donuts in the teacher's lounge. Oops. Or we specifically remember that we DIDN'T have those treats. We only ate healthy foods. And we feel frustrated because even though we said no thanks to the treats, this weight loss thing ain't working. That one was me. I specifically remember not going to bars with friends. Not eating the takeout Paul ordered... but being frustrated because I wasn't seeing a change. We may get on the scale and see nothing has changed or see that a progress photo is no different than 3 weeks ago and then we get super frustrated AF, curse the healthy eating plan, binge, and then a few weeks later, start googling for the perfect diet plan for our bodies. "There must be something wrong with me that I can't lose the weight... I must not have found the perfect diet for me. It has got to be out there." But it's all about the execution of the plan. The plan was to eat healthy, and ya did that but also ya can't overeat on the healthy things. The single way to lose weight is to create a calorie deficit. How you want to go about that is what you have to LEARN and PRACTICE how to do for your life. 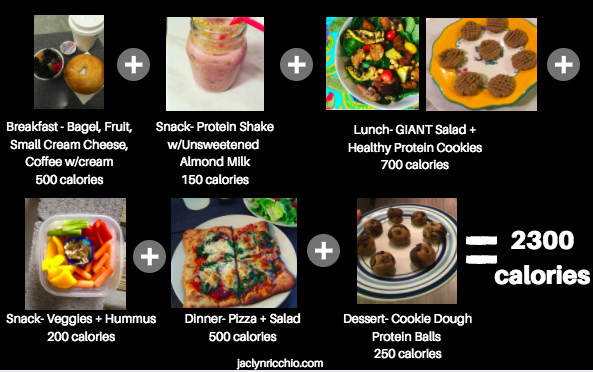 All of that works by creating a calorie deficit. And all of that won't work without creating a calorie deficit. If you're eating healthy AF foods, awesome! Keep it up. If you're not seeing the progress you want, take a look at how much of these healthy foods you're eating. AND THEN GIVE IT TIME. Practice these actions over time. No one loses 5 lbs of fat in 3 days. It happens with consistency. I have some simple tricks that can help you in the food dept WITHOUT having to count calories. You can get them by joining my newsletter here. Newer PostClean eating meal plan = A trendy way to say "diet"